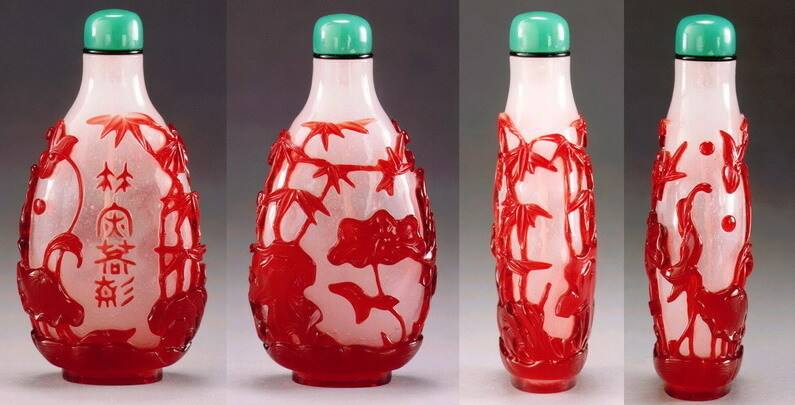 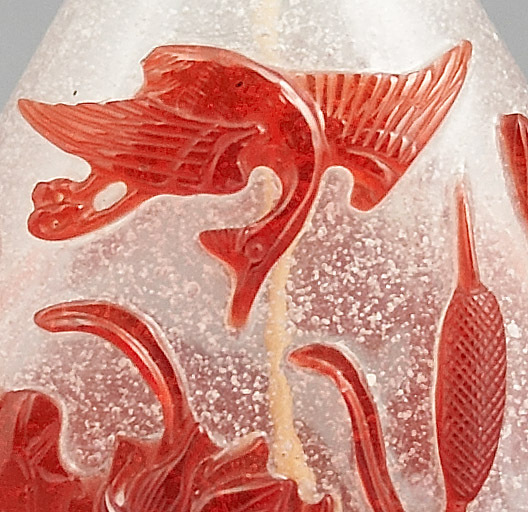 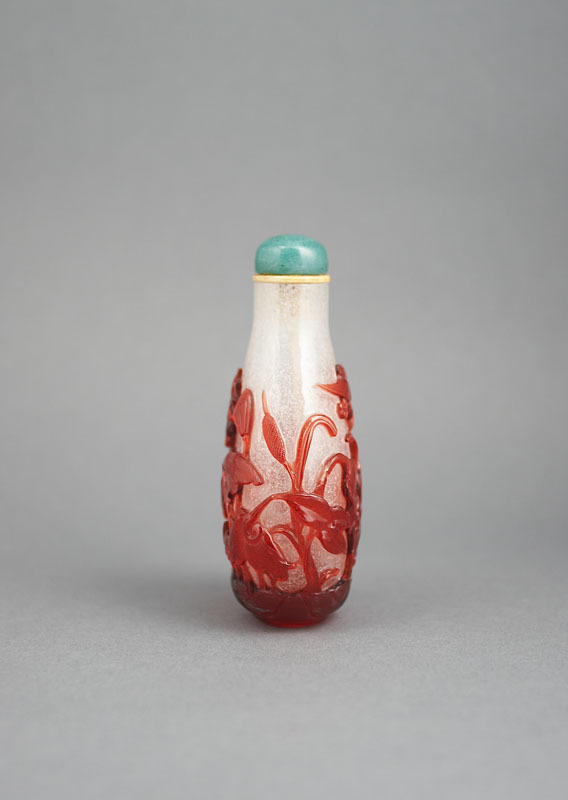 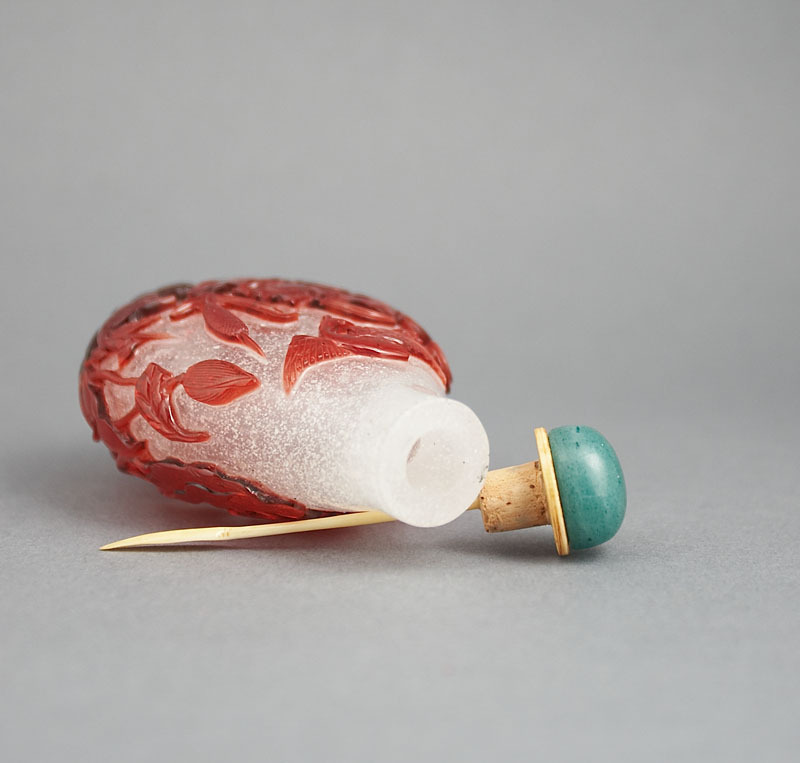 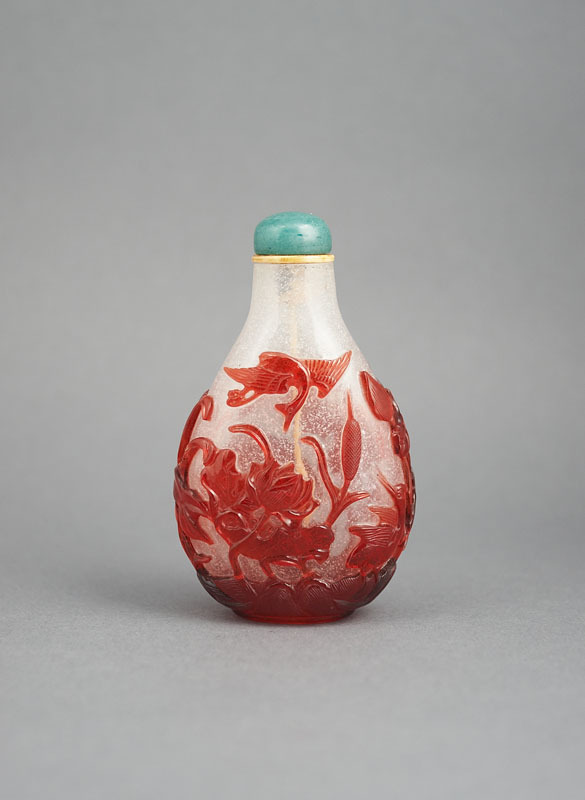 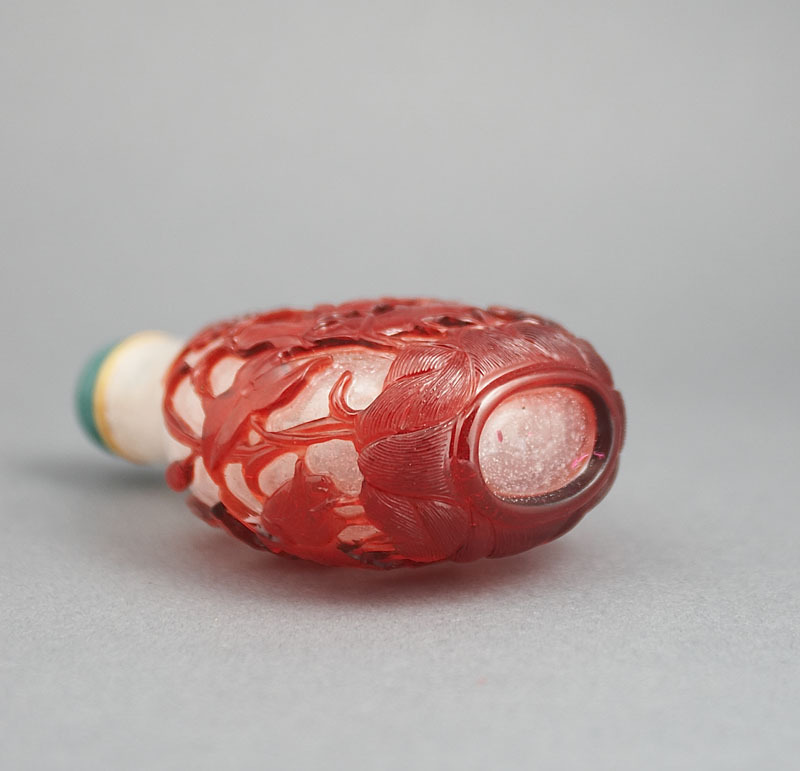 This bottle represents an evolution of the style of carving that developed at the Palace Glassworks. 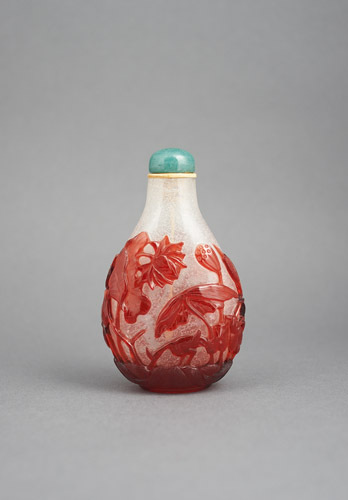 suggests an artistic evolution rooted in earlier Qianlong examples. 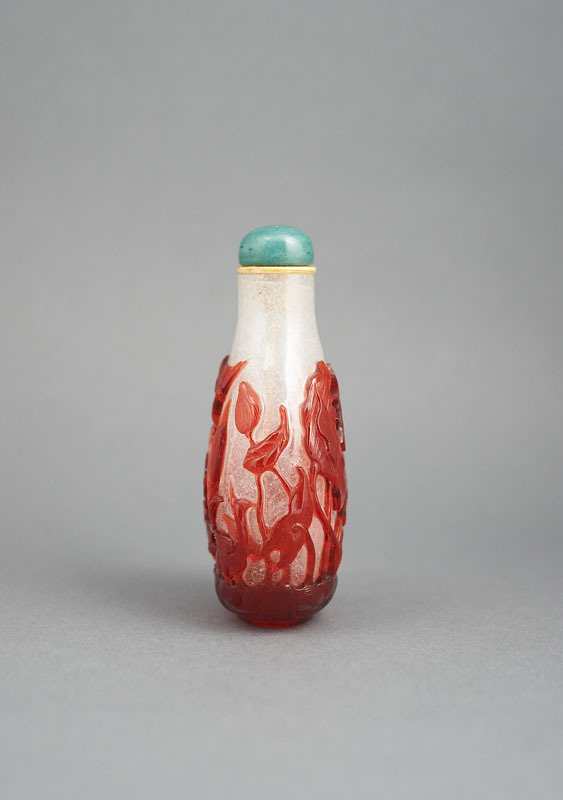 symbolizes fertility, because of its numerous seeds.